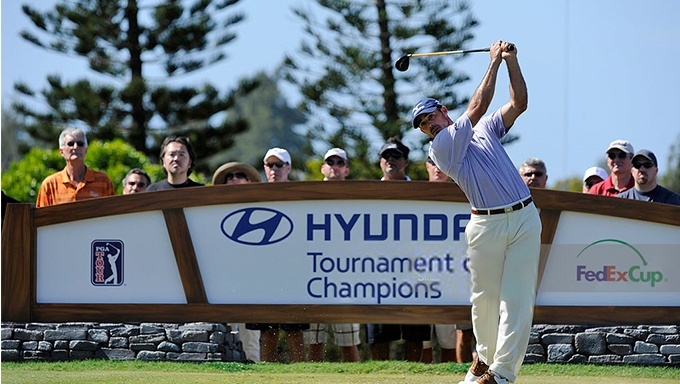 The 2014-15 PGA tour gets back underway this week with the winners-only Hyundai Tournament of Champions on the Hawaiian island of Maui. With only 38 winners from the 2013/14 tour qualifying to compete at the Kapalua Resort, it’s the second smallest field of the season, meaning the odds of picking a winner are even better. The Plantation Course is the only one on tour boasting a par 73, with just three par 3s sitting alongside four par 5s, at a bumper total yardage of 7,411. Coupled with the wide fairways, these stats suggest the big-hitters could contest the trophy here, just as Dustin Johnson successfully did in 2013. Big-hitting leftie Bubba Watson is one of the bookies' favourites, best priced at 15/2 with Bet365 Sports. The 2014 Masters champion was a three-time event winner last year, including the WGC-HSBC Champions two months ago, while he was T4 at Kapalua in 2013. Other big-hitting Americans available include Ryder Cup rookie Jimmy Walker at 16/1 with Betfair Sports, 2014 FedEx Cup Champion Billy Horschel at 25/1 with Coral Sports, and JB Holmes, widely available at 50/1. Despite the course seemingly suiting those players who know how to wield a driver, other previous winners suggest strong approach play is in fact the key to winning at Kapalua. Defending champion Zach Johnson is testament to that – he’s best priced at 16/1 with Betfair Sports. Deutsche Bank winner Chris Kirk is a decent option at 18/1 with 888 Sports, having secured three top-five finishes in the past four months; Matt Kuchar is an even better option, 9/1 with Coral Sports, having never finished below T9 in his past four visits to Kapalua. With many of the contenders not having played much tournament golf around the turn of the year, previous leaderboards suggest backing those that are likely to pay dividends. Kuchar and Kirk again come up trumps in this regard. Jason Day is also a leading contender according to the bookies, with 888 Sports offering him at 8/1. Despite an injury-hit 2014, the Australian still had a strong year and came 5th at the Hero World Challenge in December. Options elsewhere include Ryan Moore, who has two top 10s in three starts at Kapalua, placed 20/1 with Bet365 Sports, and Ryder Cup star Patrick Reed, 20/1 with Coral Sports. Japan’s Hideki Matsuyama is widely available at 16/1 to triumph on his first tournament outing at the Plantation Course, while in-form South Korean Sang-Moon Bae, who has two wins and a T5 in last four starts, is as long as 45/1 with Winner Sports.